Enterprise Mobility is an unparalleled catalyst for the improvement of organizational processes, employee performance, customer service and many other aspects of modern business. It involves managing and organizing mobile devices, wireless networks, and other mobile computing services in a business context. As the use of mobile gadgets has increased tremendously among employees in recent years, the need for Enterprise Mobility Management has become increasingly significant. 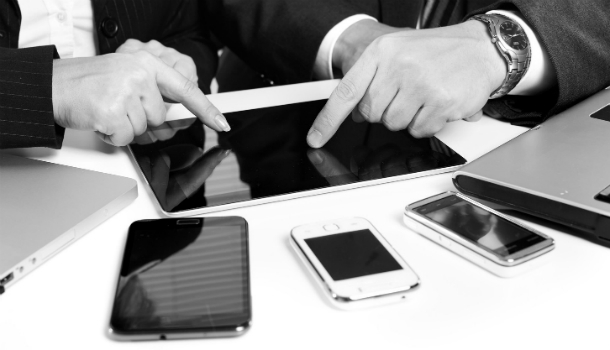 Facing Enterprise Mobility Challenges?We can help you, get in touch with us! In business organizations, mobility is a necessary component for gaining a competitive advantage over competitors in the modern world. Enterprise Mobility can seem like a minefield sometimes, with many conflicting goals presenting themselves all at once. Mobile Security: According to research, about forty percent of large enterprises do not secure their mobile apps, and about fifty percent don’t have a portion of their budget set aside for mobile security efforts. Security is the greatest challenge facing Enterprise Mobility in 2017. This is because mobile devices are inherently vulnerable and provide attackers with direct access to corporate network, sensitive data, passwords and personal information. 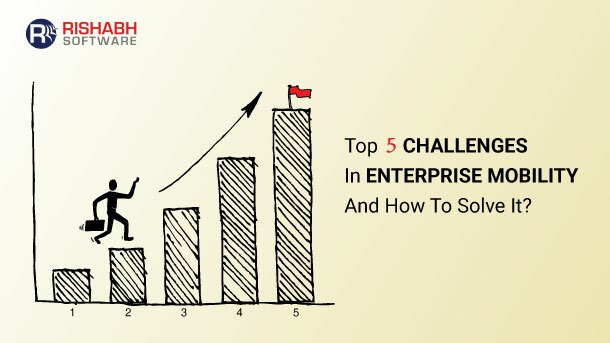 In order to solve this challenge, a comprehensive Enterprise Mobility Management strategy is recommended. This will provide a much-needed level of security while enabling productivity. An efficient Enterprise Mobility Management solution can be used to harness desktop and app visualization to ensure all business information is where it should be, in the data center and only accessed by people authorized to do so. Providing Real-Time Access To Data: No matter how mobile your employees are, they need to be rooted in access to the company’s data in real-time to be able to make informed and fast decisions. The major challenge is how to provide mobile employees with the access they need in a manner that doesn’t put the organization at risk. To handle this difficulty, mobile employees should be equipped with secure, and centralized file sharing capabilities over which the IT department has complete control and visibility. Getting An Application Up And Running: The process of implementing an effective procedure for designing applications can be tricky since it’s a crucial aspect of any Enterprise Mobility strategy. A recent survey reveals that the biggest pain points for mobile app development are building native apps for multiple platforms (50%), testing efficiency (53%) and shortage of skilled mobile developers (40%). 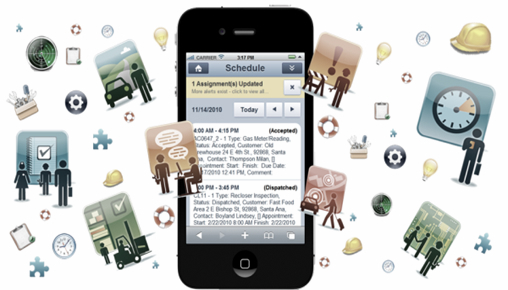 Today’s IT departments are struggling to keep pace with the demand for their business to produce mobile applications. 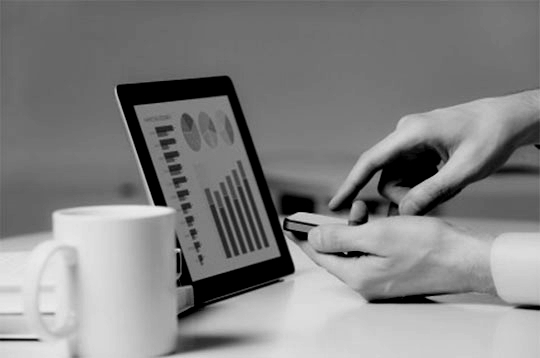 Enterprise Mobility hinges on being able to do everything on your mobile device that you could do at your desktop. By abstracting back-end functions in the cloud, businesses can free up their resources to focus on front-end development and develop strong mobile business models simultaneously. Mobile Strategy: Another peculiar aspect of Enterprise Mobility challenges is mobile strategy. This is a major challenge for IT leaders as they must ensure that the senior executives of the organization are fully bought into their mobile strategy and that there is a positive mindset towards the transformative nature of such technologies. To solve this Enterprise Mobility issues and essentially reach the universal goals that mobile technology should be driving at, the enterprise should seek help and guidance from experienced partners and solution providers when devising their mobile strategies. Mobile User Experience: When it comes to mobile technology for businesses, user experience drives user adoption, and user adoption drives ROI. It involves making the decision between re-designing existing applications for a mobile setting, as well as optimizing all mobile systems within an organization to provide enhanced productivity and efficiency for the workforce. The main solution to this issue is to encourage and achieve user adoption of these apps by delivering an intuitive and satisfying mobile experience. Due to its highly transformative nature, Enterprise Mobility will always bring with it a number of challenging decisions for business leaders to make and also some level of difficulties with its development and implementation. However, there is a wealth of mobile employee app solutions and partners that can bring extensive expertise and support to organizations. In order to overcome the many challenges, senior executives should be prepared to take risks and embrace the failures which are likely to occur.